Initiative of QS ranking was taken up by HEC with the objective to promote a culture of participating in the world university rankings for the purpose of getting reasonable reflection of higher education (HEIs) development in the country. HEC-Pakistan is the first one in the Islamic world that has developed Ranking criteria, methodology conducted ranking exercise. Initiative 0f QS ranking is taken up by the HEC to promote a culture of participating in the world university rankings for the purpose of getting reasonable reflection of higher education (HEIs) development in the country. To drive the HEIs towards improved Quality & Research. Quaid-e-Azam University has been ranked Pakistan’s best university in the general category, according to rankings for 2015 released by the Higher Education Commission (HEC). University of Punjab in Lahore and National University of Science and Technology (NUST) secured second and third positions respectively, as per the HEC as chairperson Dr Mukhtar Ahmed unveiled the rankings of 129 universities in Islamabad on Tuesday. The ranking was finalised on basis of quality assurance, teaching quality, research, finance and facilities and social integration and community development. “Community development will be integral part in universities to create the environment of social integration and affiliation,” the HEC chairman said. In overall ranking, QAU and PU were not a surprise but NUST which secured third spot jumped three spots higher than last year. 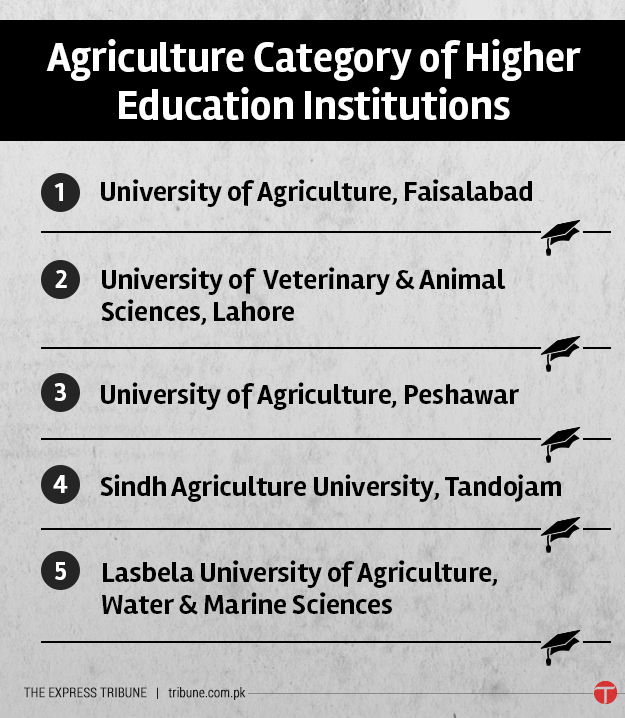 University of Agriculture, Faisalabad dropped to the fourth position after securing second place last year. Similarly, Comsats Institute of Information Technology dropped down to sixth position compared to fourth last year. 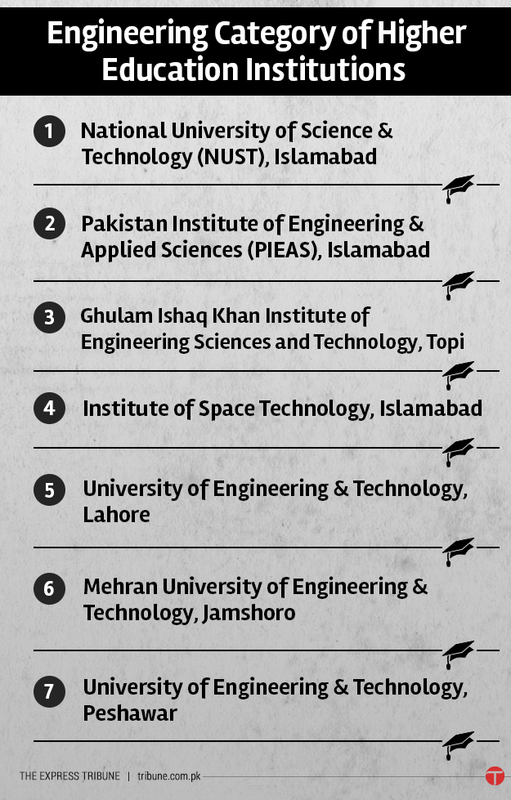 Ghulam Ishaq Khan Institute of Engineering Sciences and Technology, Topi emerged on the third spot pushing University of Engineering and Technology, Lahore to fifth place. 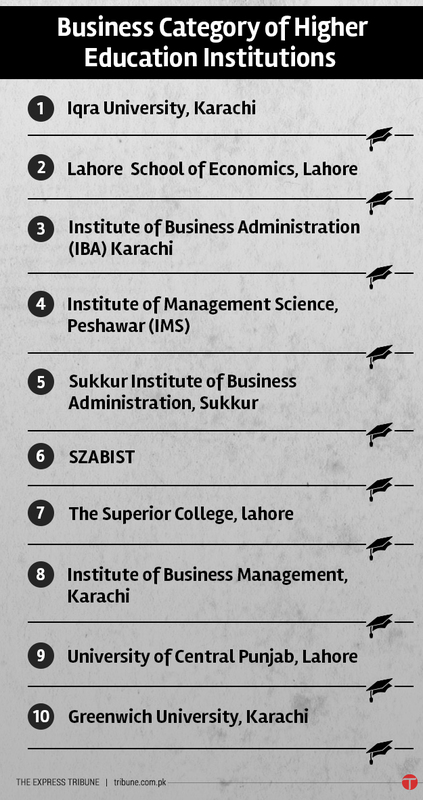 Lahore School of Economics, Lahore retained its second place while Institute of Business Administration, Karachi dropped down to third position. 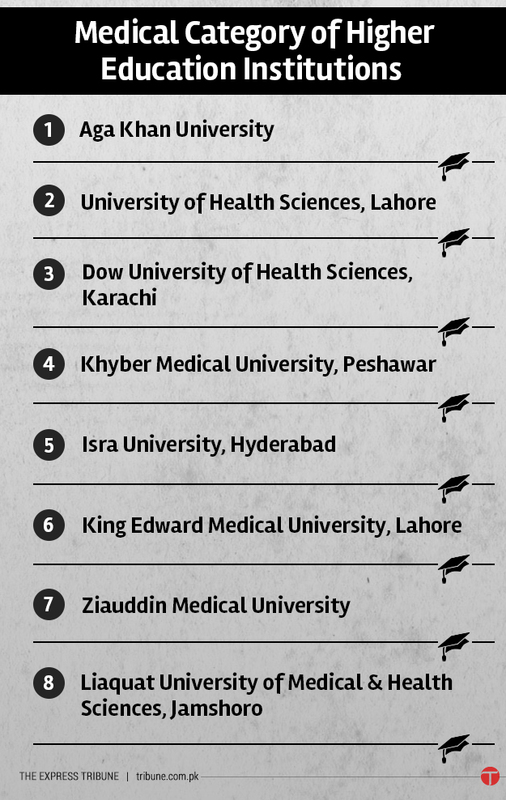 The rankings for this category remained the same as last year except Isra University, Hyderabad secured fifth position after replacing Riphah International University, Islamabad which did not make it to the top 13 of this category. The HEC chief further stated that the data for 2014-15 will be finalised in the ongoing year and its ranking would be released in the same year.